Phospholipid molecules form when they come together in water. Suppose you observe several layers of rock that have been exposed by road work. The oldest rock is probably . The inner layer of the pericardium is called the? What are the two main layers of the epidermis? This layer of the ocean is characterized by rapidly changing temperature. The is the outermost layer of skin that is made up of approximately 20 to 30 layers of dead skin cells that are constantly being shed. The glomerular capsule is formed by two layers an internal permeable that directly overlies the glomerular capillaries and an external impermeable composed of simple squamous epithelium. What attaches the heart to the diaphragm? What connects the heart to the great vessels? 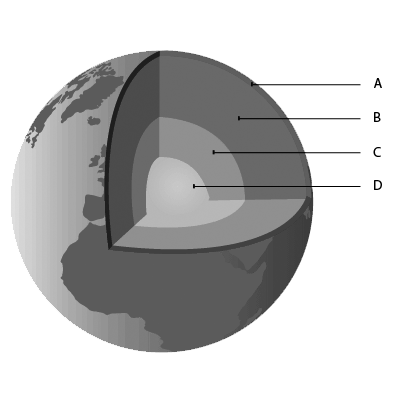 The lithosphere, a hot convecting mantle, and a dense, metallic core compose . What layer occurs on the surface of the cell wall? What is the top layer of permafrost called? innermost layer of the keratin-filled cells. outermost layer of the keratin-filled cells. What do these prefixes mean? This layer is the deepest layer of the skin. The visceral layer folds over it self and becomes the what of the serous pericardium?